adventure is great and the ferry ride over is spectacular and your fare is round trip. "So relax and enjoy your earned vacation!" ORCAS Island Is an Island In the San Juan Islands of Washington State. Known as the Emerald and or the Garden island with several beautiful lakes. It is peaceful. "kick back,"and very beautiful with activities such as: hiking, walking, shopping, boating, biking, whale watching, bird watching and just plain relaxing; to mention a few. Orcas also has many places of interest such as an absolutely beautiful State Park for hiking, camping and what a view from the top of mount Constitution which you can drive or hike to. ANYWAY come and see for yourself! If "island time" sounds good to you. Be sure to click on the blue underlined links to see the many other things you can enjoy while you are on the island ! SAN JUAN Island Is an Island In the San Juan Islands of Washington State. It is beautiful and has many activities, such as whale watching, bird watching, shopping,and just appreciating the many beautiful views all over the island. Be sure to click on underlined blue links to see many other things to enjoy while you are on the island ! LOPEZ Island is an Island In the San Juan Islands of Washington State. It is a beautiful island. It is not only a nice spot to visit , but it is known for its hand waving friendly way of treating each other. It has many farms; is generally flatter than most islands and is proudly rural. There are many things to do on the island. ANACORTES is technically on an island (Fidalgo Island). This is where the Washington State Ferry Terminal is located. Anacortes was basically founded many years ago by fisherman, boat builders,and just hard working people. Today pretty much the same applies though it has much larger marinas; more tourist pleasing things to see. Not to mention the fact that it is a very pleasant place to live. San Juan Islands fishing, clamming, crabbing and shellfish Regulations. On your way back to Anacortes (eastbound ) you can get off and visit any island for as long as you want. Seattle Ferry Schedules: Seattle / Vashon Ferry Schedule. In this wonderland called San Juan Islands you're sure to get a healthy dose of good nature. The San Juan Islands are abundant in beauty and natural attractions. The people here are friendly and welcoming. The pace unhurried. 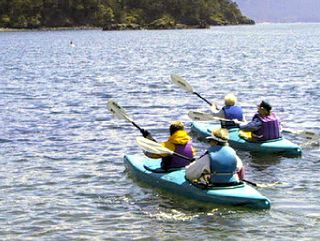 The San Juan Islands offer a wide variety of activities ranging from plays and music festivals - wilderness and eco tours including birdwatching, fishing, kayaking, hiking, biking, whale watching, sailing and boating. Located in the San Juan Islands are world famous resorts, spas, summer camps and environmental learning centers for children, adults and families. The Islands often have milder winter temperatures than other Washington State Islands; making the San Juan Islands popular to visit all year. Orcas Island, San Juan Island, Lopez Island, Shaw Island these islands listed are the only islands serviced in the north coast by the Washington State Ferries. They are only part of the over 100 islands that make up the San Juan Islands in Washington State (Anacortes on Fidalgo Island has a bridge from the mainland and is where you will find the Washington State Ferry Terminal, gateway to the San Juan Islands) There are several little towns and communities on the islands; Eastsound, Olga and Deer Harbor on Orcas Island. Friday Harbor on San Juan Island. Lopez Village on Lopez Island. Why not get away from life as you know it, to life as we know it? San Juan Islands Marine Parks, Island State Park Map, Pictures, Aerial Photos. The San Juan Islands have many Marine State Parks that you can get to only by a boat. Hark! island critters sing, lets have no litter bugs and keep the islands clean. Cartons and cans and especially glass, clean up your campsites, show a little class! Bring it in! Take it out! San Juan Islands History; Geological, Natural and Cultural History. Island History and Museums including Historical Sites and Historical Records. Events that changed the course of history. The bizarre conflicts and confrontations. Going to Vancouver Island - Gulf Islands - Victoria BC? San Juan Islands Directory .Com has over 100 webpages listed on the web. Contact us to list your business, your website. Information about this site read this: ADVERTISING INFORMATION. Find San Juan Islands Visitor Information and Businesses. San Juan Islands Directory; San Juan Islands Travel and Tourism Portal. Site San Juan Islands Washington information at your fingertips!